Roman Chatov was born in Rostov on Don, Southern Russia, in 1900. The son of a theater impresario, he began to draw at the age of fourteen. By age sixteen he was already illustrating for magazines. In 1918 Mr. Chatov was a military correspondent-painter, making his drawings on the battlefields. After the Russian Revolution when Lenin gained power in 1922, Roman, his brother; Constantin, and his parents fled their homeland for New York. "With the horrors of the revolution, our family decided to leave Russia because of communism," he said. 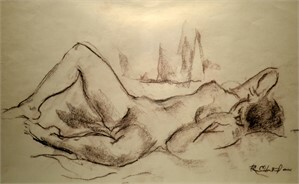 He received his early training as an artist in Russia and Paris. 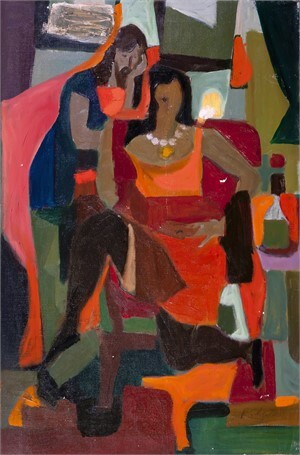 He later studied at the Art Students League and the National Academy of Arts and was a noted mural painter and costume designer before turning his talents to portraiture. President Roosevelt's Works Project Administration (WPA) commissioned Roman to paint murals for the Ford and Palestinian Pavilions at the 1939 New York World's Fair. One of his most notable works are his murals commissioned for New York's Russian Tea Room. Working in a Fifth Avenue studio, he designed costumes for the famous Broadway producer Florenz Ziegfeld of Ziegfeld Follies. When dancer Isadora Duncan admired some of his Spanish costumes, he made a large hand-painted shawl for her ~ the one that strangled her when it got caught in the wheels of a car. 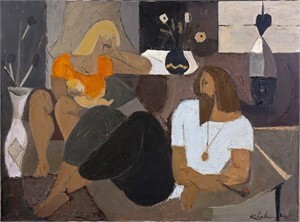 Roman was acquainted with Manhattan's most successful and dynamic artists and musicians including abstract expressionist Willem de Kooning, with whom he shared a studio in the 1930's. 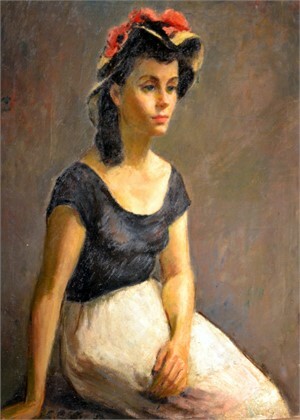 In 1942 he began working primarily on portraits. His portraits were carried by the Garibaldi Galleries in New York. In 1959 he ventured to Atlanta to paint the mural for the Cabana Hotel opening. 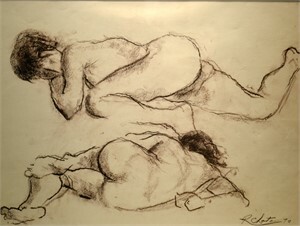 Two years later, he moved to Atlanta where he and his brother Constantin opened a studio together and taught art classes in addition to their commissions. Mr. Chatov's works have been shown in galleries and museums on both continents and are represented in many private and corporate collections.